Cool with gay marriage, just not with having to tell the kids about it. 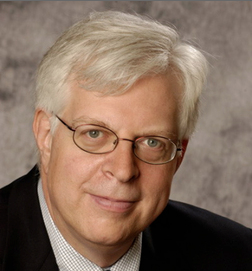 In an electric segment about bias in the media coverage of gay marriage, conservative radio host Dennis Prager goes up against Americablog’s John Aravosis on CNN’s Reliable Sources. The 62 year-old radio host says that he understands that the “heart tugs towards gay marriage,” but yet he is worried about the consequences to the children. Regardless of the fact that you currently can’t assume that a girl will necessarily marry a boy, since there are already lesbians and gays and transgendered kids all over the world, Prager continues to sound the alarm. Kudos to John Aravois – especially for when he says “That’s just bizarre” in response to Prager’s fear of losing clear gender lines.